Praise the Lord! 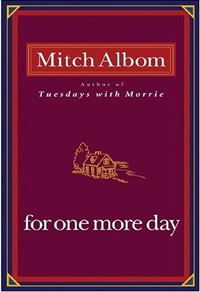 Although Mitch Albom’s last novel, “For One More Day,” was the most tragic of sins, readers can be assured that penance was made, and “Have a Little Faith” is of the same award-winning quality that originally brought Albom to fame. Author of the bestsellers “The Five People You Meet in Heaven” and “Tuesdays with Morrie,” Albom presents readers with yet another miraculous story filled with life lessons and beautiful delivery. As the novel is a true story based on Albom’s interactions with religion, Albom does an impressive job taking the controversial topic of faith and making it both relatable and nonthreatening, no matter the reader’s beliefs. Though “Have a Little Faith” tells the story of his relationship with Rabbi Albert Lewis (The Reb) and Pastor Henry Covington, deep down the story has little to do with religion and more to do with learning the true ingredients to happiness and a meaningful life. As in his previous bestseller, “Tuesdays with Morrie,” readers are presented with a plethora of life lessons, presented in a fresh and more conversational way. Albom, who spent his entire life running from God, feels insignificant and horrified when his childhood pastor, Reb, asks him to deliver his eulogy. Reluctantly, Albom agrees that if he can get to know his seemingly powerful and pious rabbi more as a person, he will do it. While at the pulpit, Reb is a man with a booming voice and moving sermons and is the epitome of authority. At home, Albom sees he is the same Bermuda-wearing, musical-loving and slightly awkward man that we all are, equipped with his very own skeletons in his closet. 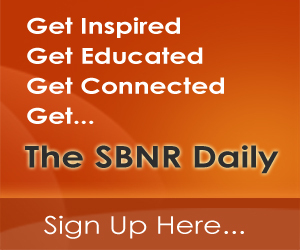 As Reb and Covington’s own struggles with self-identity and righteousness are revealed, readers are fed the key ingredients to a life of fulfillment. As Reb comes closer to his death, his lessons become more personal and passionate, explaining that selflessness is the key to happiness and that the material- and status-oriented things in life ultimately mean nothing. While it was a fantastic read, I couldn’t help but continuously relate it to his previous novel “Tuesdays with Morrie.” Though it’s one of my favorite books ever, and I didn’t mind reading something similar, I felt there was a massive lack of originality. Originality aside, “Have a Little Faith” is a must-read for Albom fans and anyone with an interest in philosophy and happiness. I’m not so sure I am an Albom fan, as much of what he writes is nothing new to me. For that matter, many people experience much of what he writes but do not write it down or put their experiences in book form. I learned a long time ago that “things” don’t mean much when you get older. The things that count the most are the things that you have no control over. Like loosing one’s many friends in death, or being humbled by health issues where you have to depend on someone else to help you out. I have learned to live one moment at a time, and I try my best to keep a positive attitude. I don’t watch/read much news anymore because all it does is drag me down. I tend to lean toward people who are complimentary, uplifting, humorous, and always keeping a positive attitude. Life has been good to me and I’ve had more than my share of good things. What I try and do is to live life fully, love wastefully, and be all that I can be.